A recent article in the New York Times seemed to oversimplify or even invalidate the process of career counseling. 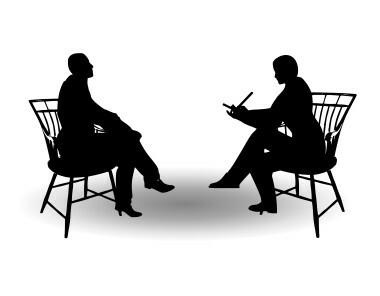 When discussing the services of one of the counselors with whom she met, the writer noted “mostly he offers conversation, in packages ranging from four sessions to 26 sessions.” Such a suggestion basically devalues the true potential of career counseling. Genuine career counseling or career coaching, as some refer to this process, is more than a “conversation” with a career professional. It is a focused process of assisting an individual identify career challenges and to develop a plan to overcome those challenges. For some it may mean changing careers, for others it may involve how to advance in their current job. It should include an initial assessment of the client’s needs, followed by an analysis of the best approaches to help the client (e.g. vocational testing), and then finally developing a plan of action for the client. Unfortunately, while the writer’s ignorance is all too commonplace, it is also a reflection of career counseling’s identity crisis. Unlike other professions, which require practitioners to possess a license to ensure some level of quality assurance for the consumer (e.g. psychology, law, medicine), career counseling is not a protected title. This means that anyone can hang up a shingle and call himself or herself a “career counselor” or “career coach.” Unfortunately, this results in very uneven outcomes for clients. During this economic downturn, consumers are even more susceptible to individuals willing to take advantage of desperate people by promising unrealistic career counseling results and charging exorbitant fees while doing so. It is vital to recognize that a good career counselor or coach will enable you to get to the next level of your career development. Many people feel that career development is an accidental process, where one just ends up in a particular career or job. The reality is that working with a career counselor will enable you to increase your probability of career and workplace success and satisfaction. From finding the best fit career to understanding how to network for promotional opportunities, quality career counseling has been proven to be effective in helping people advance their careers and improve their lives. But one must be extremely careful when selecting a career counselor. The following are some tips about factors to consider to ensure that you find the best career counselor or career coach possible. 1) Credentials – my bias is that a licensed psychologist or counselor with a specialization in career counseling would be the most qualified career counselor. Many great career coaches are not licensed psychologists but are rather industry veterans who can provide technical knowledge (e.g. resume writing and interviewing skills) and industry expertise which are extremely useful for basic career counseling concerns. However, sometimes an individual is stuck in his or her career due to more underlying psychological concerns (e.g. lack of confidence, anxiety, depression, etc.) rather than lack of knowledge about an industry or how to do a resume. A licensed psychologist would be able to make a valid assessment about the psychological barriers which may be impacting the career concerns of an individual. Since work is inextricably linked to an individual’s personal identity, it is important to consider a holistic analysis of the factors influencing a person’s career development. Again, I am not denigrating the talents and contributions of non-psychologist career counselors but rather enabling the consumer to think about his or her needs from a more expansive perspective. What is most important is to find a reputable career counselor or coach. Many good career counselors and coaches can be found at the National Career Development Association (www.ncda.org) directory. 2) Knowledge and use of standard vocational assessment tools – while a licensed psychologist would be able to diagnose subclinical or clinical issues which are adversely affecting an individual’s career development, he or she should also have expertise in career counseling work, including the ability to administer and interpret widely utilized vocational assessment tools such at the Myers-Briggs Type Indicator, the Fundamental Interpersonal Relations Orientation (FIRO-B) leadership profile, and the Strong Interest Inventory. Such tools add value to the career counseling process and can inform the career counseling experience for clients. If you are working with a career counselor or coach, he or she should be qualified to administer these protocols and should use the actual, psychometrically tested measures not invalid, unreliable approximations found on the internet or developed by the practitioner. 3) Right fit – the writer of the New York Times article was correct in being able to visit more than one career counselor when searching for the best fit for her needs. You should feel comfortable with the career counselor and you should have a conversation about the expected outcomes and the career counseling process before you commit to the career counseling relationship. If you do not feel it is a good fit, you should feel free to discuss your issues with the counselor and either work through the concerns with your counselor or mutually agree to find another counselor. 4) Patience and a realistic timeline – career counseling has been unfairly labeled as a “test’em and tell’em” approach, wherein the counselor and client meet for 1-3 sessions and the counselor solely interprets the results of the client’s vocational tests and then sends him or her off to the identified career path. Career counseling in the 21st century is more complex than this outdated approach. Therefore, although I noted that fit is important, one should be patient enough to work with the career counselor for at least 3-4 sessions before making a decision about changing counselors. Career counseling is a PROCESS, and as such, can take several sessions over a 2-6 month period. It is critical that you are always aware of the goals for career counseling and to check in that the career action plan still suits your needs. However, you should also make a wholehearted commitment to the process and work to reach your desired results.